As one of the most iconic sights in Asia, the Hong Kong skyline is truly epic! Best viewed from the Kowloon side of the city, or even better, from the iconic Star Ferry after paying the measly $2HK fare, it’s a definite (free) must-see sight. 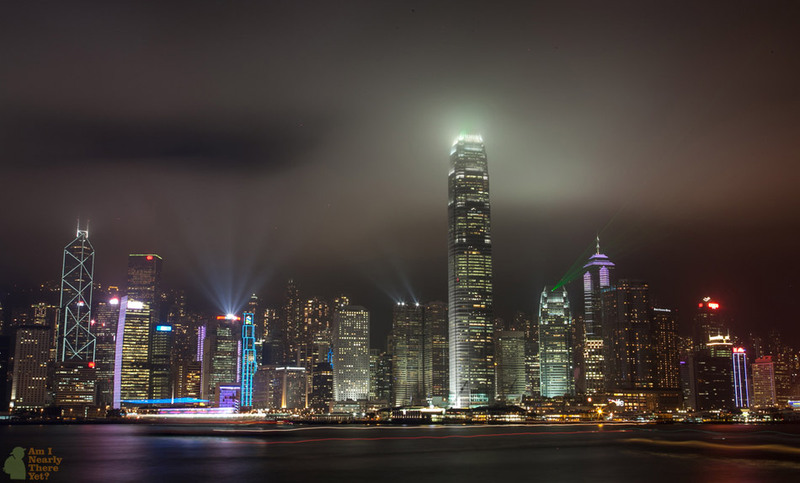 Starting every night at 8pm, the ‘Symphony of Lights‘ show illuminates the sky further with lasers and strobes radiating from the towering buildings on Hong Kong Island across the Victoria Harbour. If we’re being honest, it’s a bit crap, but the view is worth it! Finish up with a ride on the Hong Kong Tramways and you’ve got a couple of bargain-basement gems to keep you going during your Hong Kong visit! Wow! The photo looks amazing! 🙂 I would love to go and see the skyline at night!